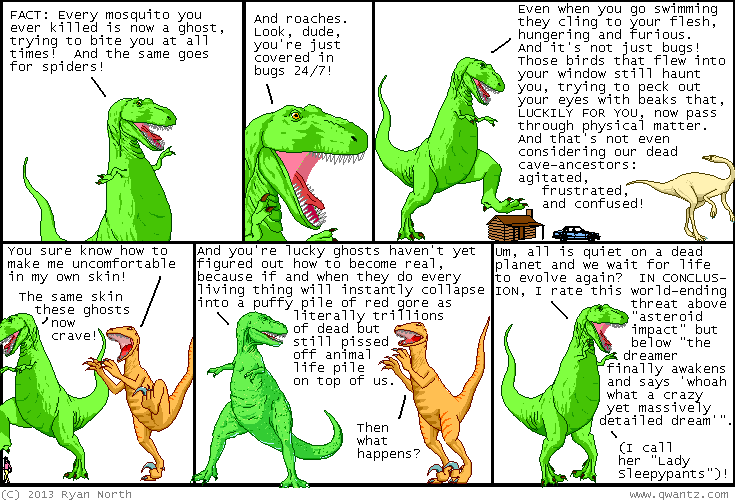 Dinosaur Comics - January 16th, 2013 - awesome fun times! January 16th, 2013: Are you a voice actor? If so that's awesome because I'm making an audiobook version of To Be Or Not To Be so if you could send me a sample / a link to your portfolio that would be super cool. If you send a clip please have it be something in modern English because that's what my book (mostly) is too!